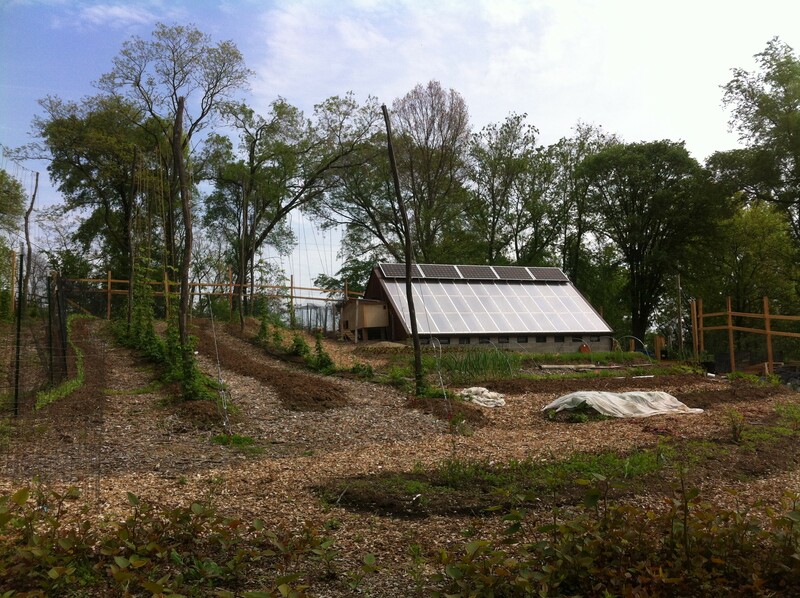 The Garfield Farm in Pittsburgh has been created to help feed the people of the community using solar means. Melting glaciers, rising seas, extreme hurricanes, droughts and heat waves. These are the effects of climate change that are already plaguing our planet, according to the Rev. John Creasy. About a century from now with no change in our climate habits, John adds, the planet will be 6 degrees warmer, causing the North and South Poles to be almost completely melted. This will result in major cities along the coasts to be under water. Staggering, depressing words for sure. But if anyone is up-to-date on the current climate situation of the world, it’s John. The associate pastor at The Open Door Presbyterian Church in Pittsburgh’s Highland Park, John is also on Pittsburgh Presbytery’s Peacemaking Ministry Team and is on the board of directors at Pennsylvania Interfaith Power and Light, an activist group that is “a religious response to global warming.” He’s also the director of the Garfield Community Farm, an initiative of The Open Door Church that farms and gardens in areas that have been neglected and abandoned. The commitments certainly make John a busy man, but it’s something he finds the time to do because of his passion for the subject. He also feels that his position within the church makes him a key person to help lead the charge toward severely-needed climate changes. A self-proclaimed “closet environmentalist” growing up, John didn’t outwardly express his views about climate until he became a pastor and was able to work his beliefs into his teachings. John’s teachings can be heard at The Open Door Church in inner-city Pittsburgh, a 10-year-old New Church Development. Open Door with its membership of 120 does not have a regular church gathering place, normally meeting at a local activity center for worship. 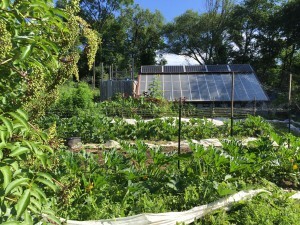 It sometimes meets at the Garfield Community Farm, which Open Door began a year after it was chartered and organized with Valley View Presbyterian Church. The Garfield Farm is an initiative of The Open Door Presbyterian Church in Pittsburgh. With Open Door being a predominately young, white congregation and Valley View consisting of older, African-American members, it provided a diverse group to lead the charge for the Garfield Farm, which encompasses three city blocks and grows food for low-income families in the Garfield area. A byproduct of the garden is that it restores the land, making it a healthy area for plants and wildlife. Education is also a key aspect of the farm as people are taught the basics of nutrition and ecology. With the presbytery’s Peacemaking Team, John’s work is focused on issues related to Pittsburgh. On its radar is a new industry in the city that will be the largest producer of plastic in North America, which will cause “massive” changes to the city’s atmosphere. The Peacemaking Team is in the process of designing a step-by-step process for congregations that want to tackle climate issues, giving them insight on things like going solar power and reducing the amount of energy they need to function. The team, which also deals with issues like justice in Palestine and working with state legislature on gun issues, is looking to concur on a divestment from fossil fuels overture for the 2018 General Assembly as well. John’s work with the presbytery ties in nicely with his ties to Interfaith Power and Light. A national organization, John recently joined the Pennsylvania chapter to bring a Pittsburgh voice to a team that is also made up of members from Philadelphia and State College. The group includes people from different faith communities and comes together to take legislative action on climate change. According to John, the Earth’s temperate has already been increased by over 1 degree Celsius, and the goal of the Paris Climate Accord is to not let that change get to 1.5 degrees. However, some scientists say that it’s already too late to stop global warming at that mark because of the destruction that has already been done to the atmosphere. Among the causes for this damage is the burning of fossil fuels and the accumulation of carbon dioxide in the atmosphere. Carbon dioxide and methane are chemicals that hold excess heat in the atmosphere, thus resulting in global warming. The No. 1 polluters are factories that use coal as a source of energy. “Coal-fired powerplants have been built in huge numbers in India and China over the past decade,” John said. “Coal-fired power plants are the worst. Even the way we raise cattle is a major methane producer, so we have to look at changing how we do agriculture. Methane is far more dangerous than carbon dioxide. “They (cows) are very gassy animals when you feed them a poor diet. Cattle have evolved to eat grass. When cows eat grass, they are much healthier animals and they don’t have as much of a problem with methane production. We feed cattle on feed lots, we feed cattle corn. It helps them get fat quickly, it creates the marbled meat that we like. Cattle love corn and they will gobble it up, but it makes them really unhealthy. “Not only does it produce more methane, they produce meat that has high omega-6 fats in it. A diet for humans that’s high in omega-6 leads to high cholesterol, high chance of heart disease, all of those reasons we say red meat is terrible. Cattle that eat grass has that perfect balance. It’s almost as if beef goes from being the food that we need to not eat if we want to live past 60 to the food that we should pretty much eat every day because it has the perfect mix of essential fats that human beings need. Educating the public, John said, is one step in helping to solve the pollution problem. Learning to talk about the issue in a calm and direct way is also important, especially considering the amount of attention the subject has been receiving lately in political circles. “Maybe churches should leave climate change out of the conversation at first and just think about what it looks like to take care of things and to be a responsible steward of God’s creation,” he added. “Churches that are ready to take part in that transition of a carbon-free future need to do so. Now is the time for us to say, ‘We’re the church and we’re going to help guide our culture toward a livable future.’ That’s what I want to see the PCUSA leading in this country, a transition toward a clean, carbon-free future. John knows that there are solutions to the problem out there, and he is doing everything in his power to try to solve the issue at hand. But he knows it’s going to take a collective effort and hard work to get the job done. The Bible reads in early Genesis that we are created in God’s image and that God loves what he creates. It’s the backbone to what John believes and what drives him every day on his march toward a better environment.